This map demonstrates territory of Russia. topographic map of Kartalinskaya Zapan' 1 cm to 1 km this. free map of Verkhniye Balyshty with gps calibration here. free map of Uzyan for Garmin. topographic map of Ulu-Yelga 1 cm to 1 km displayed. interesting map of Tikhiy Klyuch и OziExplorer calibration displayed. interesting map of Sukhoy Uzyan и OziExplorer calibration for Garmin. interesting map of Sredniy Suran calibrated free download. detailed map of Min'yak calibrated this. 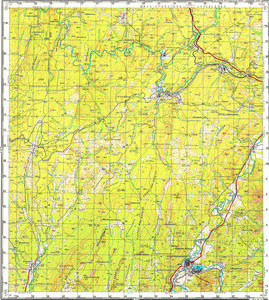 topographic map of Lapyshta и OziExplorer calibration free download. free map of Kyzyl-Tash и OziExplorer calibration for gps. map of Kyzmolda 1 cm to 1 km for Garmin. topographic map of Kurmanay 1 cm to 1 km here. detailed map of Kuporda и OziExplorer calibration here. interesting map of Kudashmanovo this. detailed map of Kozhevnya with gps calibration presented. free map of Kiskanyshta 1 cm to 1 km download for free. detailed map of Kartaly presented.